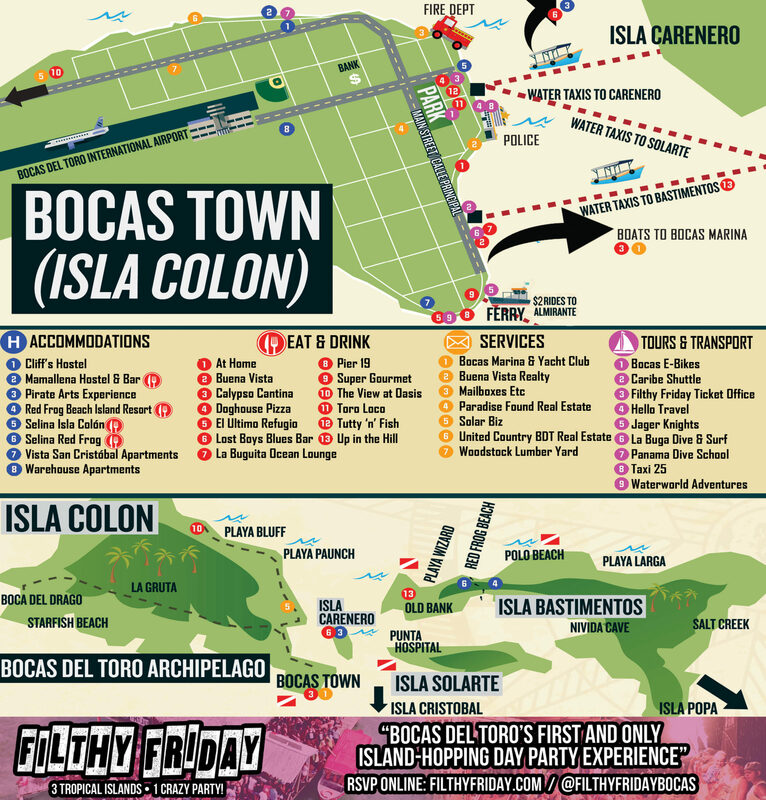 In the four years I’ve lived in Bocas del Toro, I must have traveled back and forth to San Jose at least 20 times now. 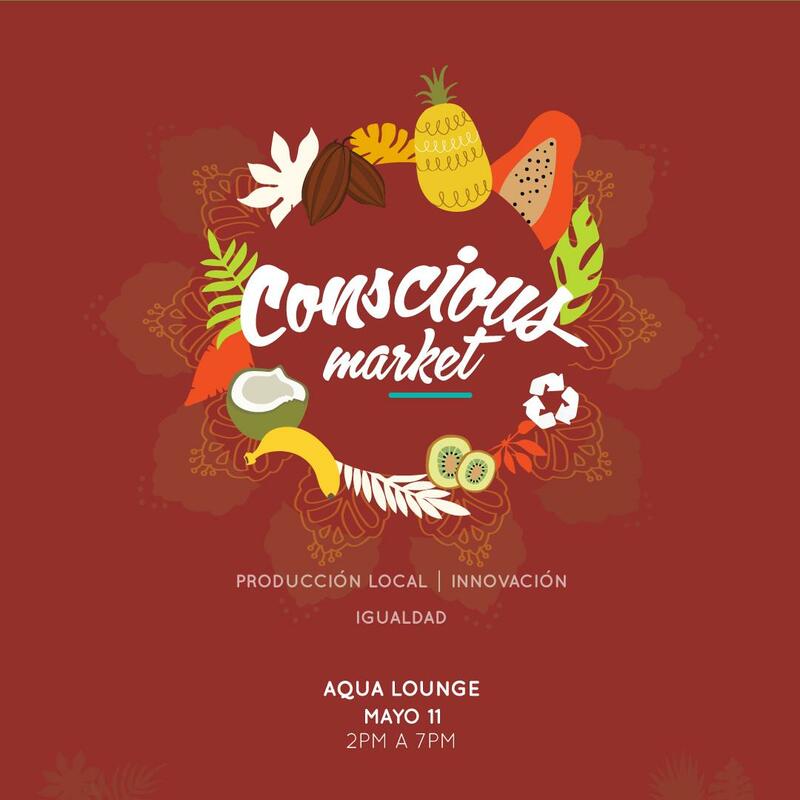 Flights to the US, buses to Bocas, trips to the Pacific side of Costa Rica, catching buses to Nicaragua, planes to Guatemala, etc. For me, there have been many reasons to travel to San Jose. 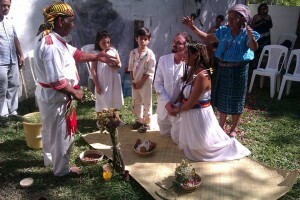 This time the stakes were big: I was going to El Salvador to get married. I left the day after Christmas, one of the busiest travel days of the year, and I had to be in San Jose that evening to catch a 21-hour bus to San Salvador. If I missed this bus, the consequences were huge. Not only would my bride-to-be and I be absent at our own wedding ceremony, but we would be stranded in San Jose with little money and no bus tickets, and her family would most likely hate me forever. Needless to say, this was a big bus to catch. I decided to ride to San Jose with Caribe Shuttle. 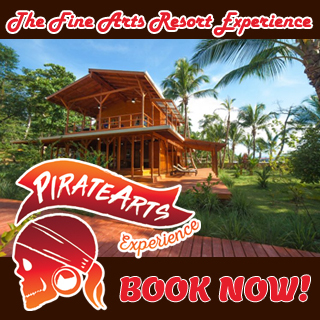 They have been bringing people from Bocas to Puerto Viejo for years now and in December of 2013 they had just launched their new shuttle service that takes you door-to-door from Bocas to San Jose. Taking a brand new shuttle service, on one of the craziest travel days, on a very time-sensitive expedition, in order to arrive to a life-changing event? You’re damn right I was nervous, but I put my faith in Caribe Shuttle and they came through like champions. The expedition started at 8 am at Bocas Marine Tours where we jumped aboard the boat that takes you from Isla Colon to Almirante. 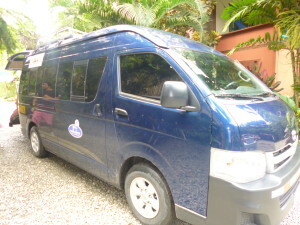 We were met in Almirante by our friendly driver Roque and whisked away in an air-conditioned van with a small group of other people on the move; some to Puerto Viejo, others to San Jose like us. My future wife and I were happy to run into our buddy Luke, who we had met while he was volunteering in Bocas with the Floating Doctors. What a coincidence- he was riding up to San Jose too! 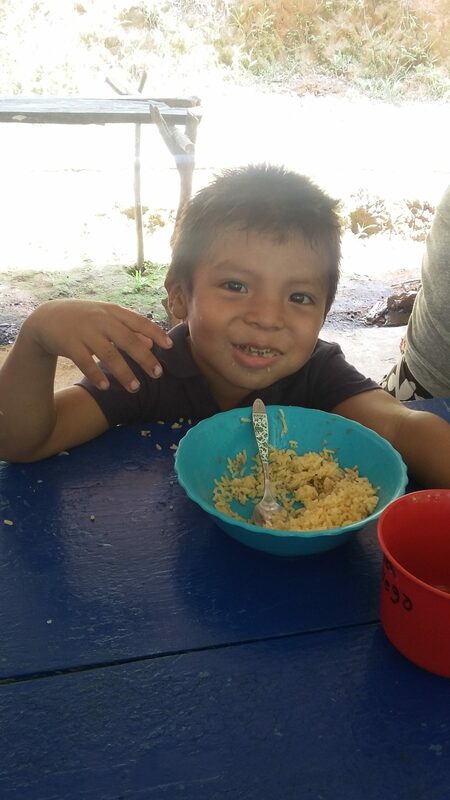 Luke was on his way to the SJO airport to hop on a flight to Guatemala to celebrate New Years on Lake Atitlan. We made it to the border around 10 am and were promptly breezed through to the other side by our guide Sergio. 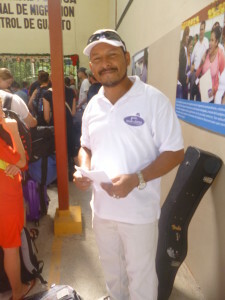 He was very attentive to everyone in the group, making sure everyone was prepared for the border paperwork and passport procedure for leaving Panama and entering Costa Rica. Once everyone was stamped into Costa Rica, Sergio passed us off to our new chauffeur, Miss Flaca, who would take us to Puerto Viejo. 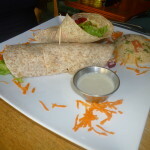 Fish Wrap from the Hotel Banana Azul Restaurant. After an hour break, we were on the road again. This time with a few less souls that were destined to stay in Puerto Viejo, a few new friends en route to San Jose as well and our new driver: Minor. Lucas was still with us, feeling a little nervous about catching his flight at 7 pm. After all, everyone is always giving out the warning “You better arrive 4 ½ hours early to an international flight!” I was sure Lucas would make it just fine as the shuttle normally arrives around 5 pm in San Jose and in my experience, that’s plenty of time to make it to the gate for a 7pm flight. I was at ease knowing my girl and I would definitely be on time for our 11pm bus departure to San Salvador. Although, I will say you never know what to expect on these Central American highways, especially on the day after Christmas. In 2011, a banana truck had flipped over and I was stuck behind it on this very road, sweating on a bus with no AC, wondering if I was ever going to make the boat to Bocas. Although there were no banana trucks this time, there was a house that caught on fire and slowed traffic down for about an hour. Luckily, our man Minor knew the route like the back of his hand and was able to make some swift detours around the traffic caused by the fire emergency. Once we were back on track, it was obvious we were going to arrive a little later than expected. Minor was very accommodating to the needs of everyone and all of the other passengers were equally as cooperative when it came to the drop-off order. Everyone agreed that Luke’s 7 pm flight was a priority, so he was first. This complicated the route a bit, because for the driver it made sense to save the airport for last, but again, Mr. Minor was nothing but accommodating. Lucas made it to the airport at 6 and was able to reach his destination without any problems. My fiancée and I had 5 hours to kill so we were in no hurry whatsoever. The rest of the van was made up of 2 couples on their way to 2 different hotels and weren’t in much of a hurry either. In the end, everyone made it to their destination safe, sound, relaxed and with happy bellies from our Banana Azul lunch. My bride-to-be and I prepared ourselves for a 21-hour bus ride and a lifetime of marriage. 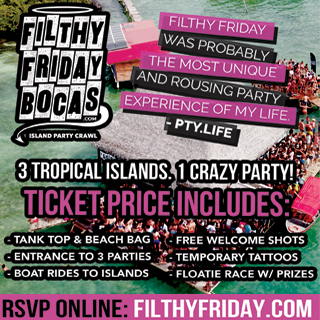 What a special occasion and we made it there with the help of Caribe Shuttle. 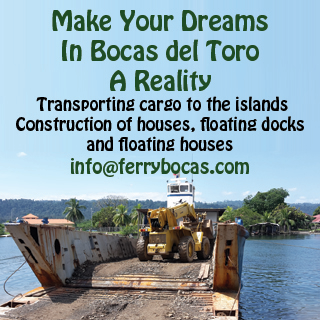 The ride back to Bocas was equally as smooth and convenient. 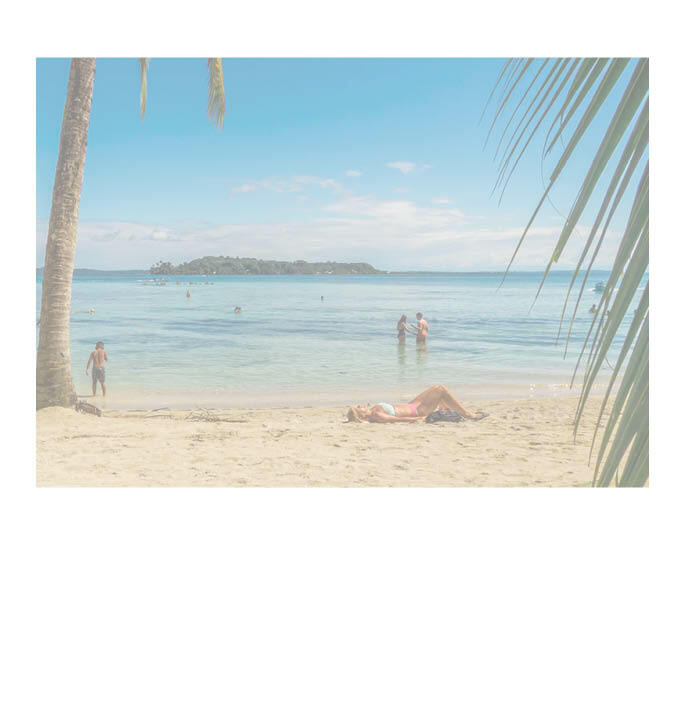 Minor picked us up from a practically unknown hotel in the center of San Jose at 6 am and brought us all the way to Bocas, with everything included in the price of $69- the vans, the border guide, the lunch at Banana Azul and the boat from Almirante. 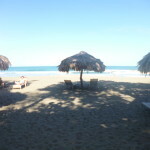 Thank you Caribe Shuttle for getting me and to and fro Bocas and San Jose and letting me sit back and “take it easy”. 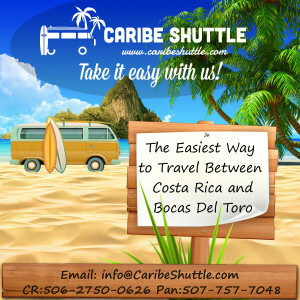 For more information about Caribe Shuttle, visit caribeshuttle.com or go directly to their offices at Rocking J’s (Puerto Viejo) and Bocas Marine Tours (Bocas del Toro). Congradulations Nico!! Looks like a cool way to get hitched 🙂 Best wishes for a beautiful, fruitful life together. And thank you for the articulate, comprehensive review of the shuttle service.